New Chickadvisor Product Review Club offer! 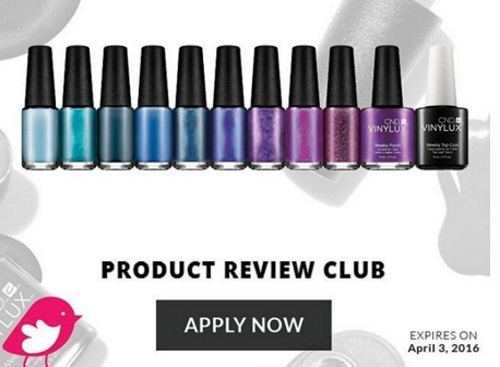 They are looking for 200 Canadian women from their Product Review Club to try CND Vinylux Weekly polish for Free! If you're interested take a moment to complete the short selection survey at the link below by April 3, 2016.